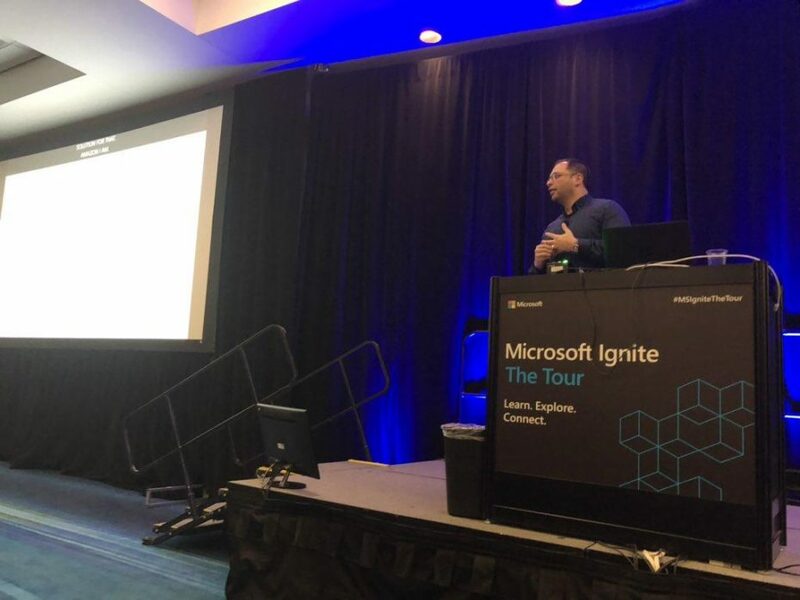 On January 11 2019, I had the opportunity to speak at Toronto Microsoft Ignite Tour – 8 Cloud Design Patterns you ought to know. It was a great seeing that over 700+ people registered to my talk, it was pretty much full house session over 500+ attended. 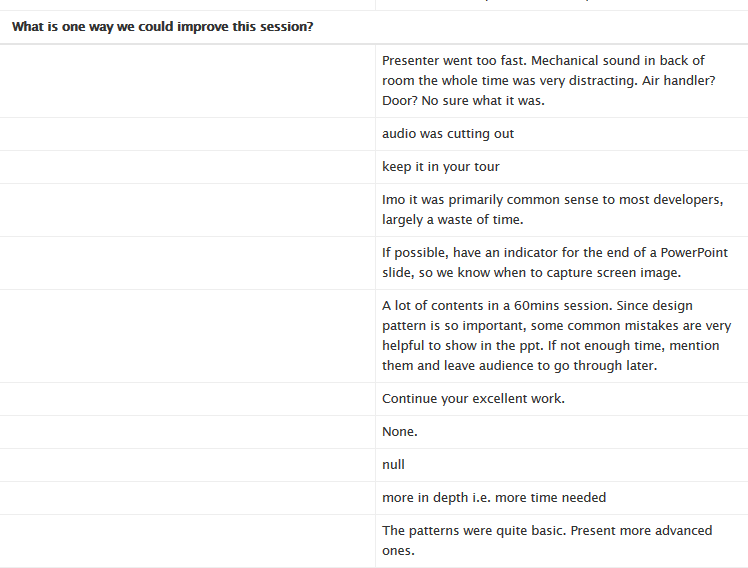 Unfortunately Microsoft did not record any session in Toronto. I have had people ask me of a recording, although I do remember a gentleman who had his camera and was recording all my slides. (If someone knows him please feel free to ask him to get in touch with me, I would also love a copy of it also). 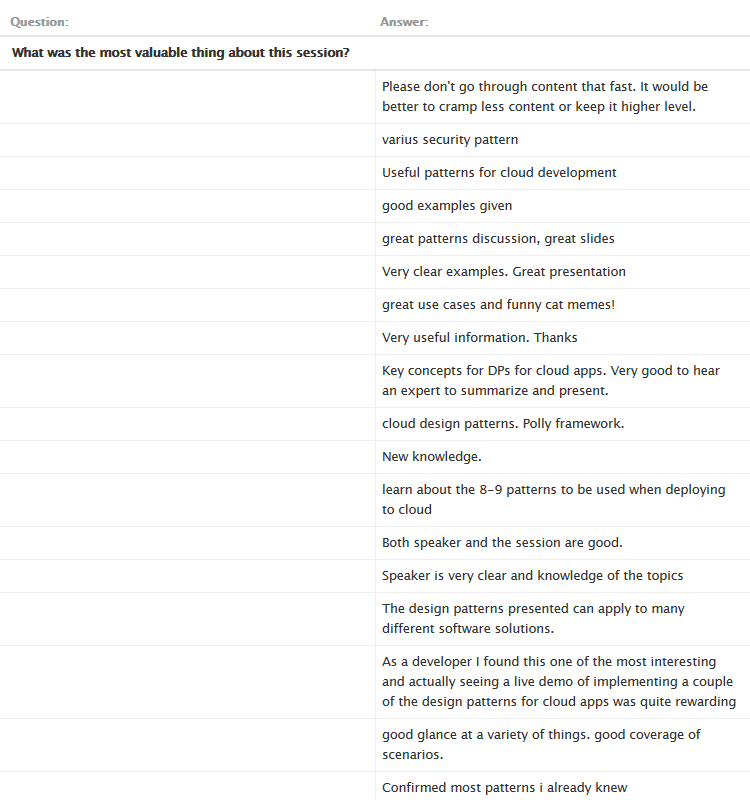 One benefit of speaking at Ignite is they have a good evaluation system where users can give feedback. So far the feedback has been very good. Here are the result of the evaluation score. Its sometimes hard to satisfy all people in a talk, with over 500 people there will be someone who doesn’t like your talk. You cannot make everyone happy but I think I did make it clear sometimes patterns are like “Duh” moments where it is just common sense. Overall I still think people learned something new and enjoyed the talk. Below are some of the improvements. Last but not least here are the slides from the talk. Enjoy…..